Words Like Fresh Skin is an immersive journey into the life and times of poet Edna St.Vincent Millay. A writer, activist, and feminist, Millay was the third woman to win the Pulitzer Prize for Poetry. She sold out auditoriums in the 1920s, but by her death in 1950, Millay was all-but-forgotten. This interactive and experiential journey explores the family dynamics and romantic relationships that shaped Millay’s life, inspired her writing, and, perhaps, led to her death. Staged as an interactive, immersive, theatrical experience, Words like Fresh Skin invites audiences to experience Edna St. Vincent Millay’s world first-hand. Follow Vincent from her childhood in Maine to her formative years at Vassar; attend a roaring 20’s soirée as her guest and watch as she rises to stardom among America’s literati; experience her world and her poetry with all your senses! “She was a woman living by her own set of rules during a time when women were not empowered to do so,” says playwright Megan Lohne about the relevance of Vincent’s story today, “She challenged gender roles, marched for the disenfranchised, and enchanted audiences nationwide with her words.” Words Like Fresh Skin offers a window into Edna St. Vincent Millay’s complex soul and the (mis)identities of an artist. The Rising Sun Performance Company will be programming a twelve week multi-purpose theatrical artist retreat and residency in Nolan Park on Governor's Island. Over the course of the residency Rising Sun will host a different playwright and/or director to develop new play scripts and works in progress, as well as site specific, devised, and immersive works. Laboratorium & Presented Projects are made possible in part by the generous support of Fractured Atlas, The Trust for Governors Island, Material for the Arts, NYC Dept of Cultural Affairs, Costco, Horse TRADE Theater Group/FRIGID New York, & our individual donors. WORDS LIKE FRESH SKIN - Where do we see the influence and power of words today? How are our lives impacted on a daily basis by the world-making power of language? When the majority of human communication is limited to 140 characters made up of emojis & LOL-style abbreviations, what happens to the world-making power of words? THE VINCENT EXPERIENCE is staging a digital-intervention titled WORDS LIKE FRESH SKIN as part of an artist residency on Governors Island. The goal of WORDS LIKE FRESH SKIN is to locate & highlight the influence & power of words in the 21st-century. 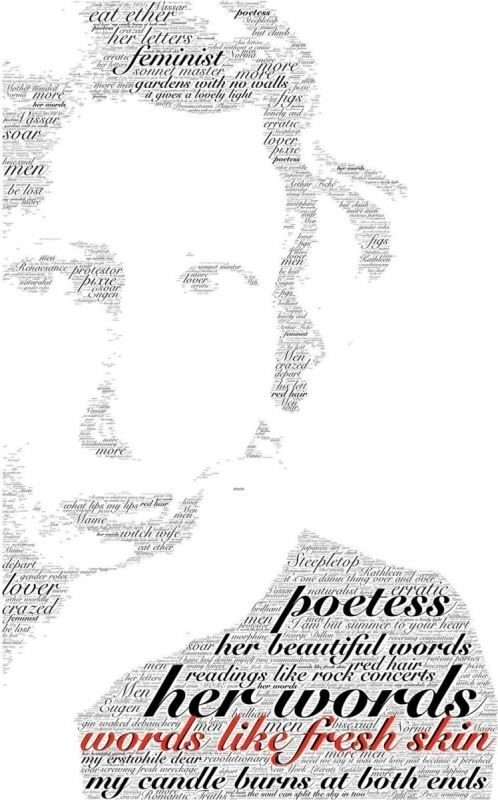 Performers and audience members will be tasked with posting on Twitter using ONLY words & phrases from the poetry of Edna St. Vincent Millay. Conceptually appropriating Millay’s influential words on Twitter will grant them new life, and another chance to change the world. Join us at the "House of the Rising Sun" for a Summer and Fall season of new works on Governors Island! 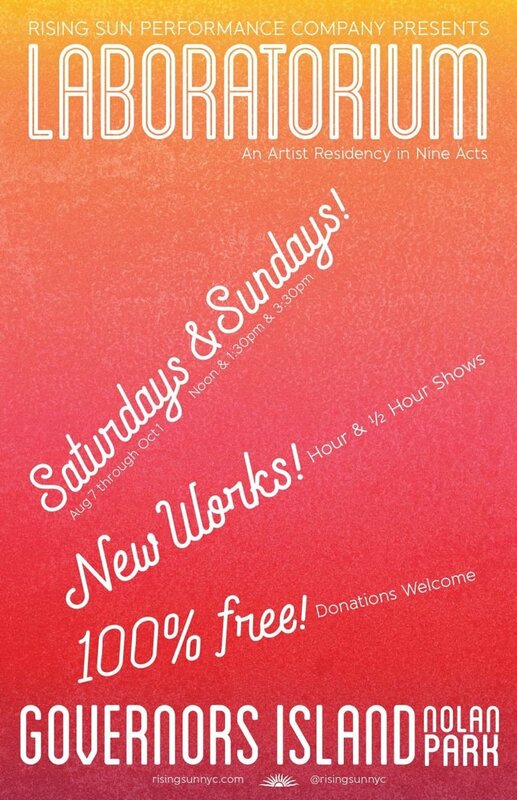 The Rising Sun Performance Company will be programming a twelve week multi-purpose theatrical artist retreat and residency in Nolan Park on Governor's Island August 7th - October 31st, 2017. 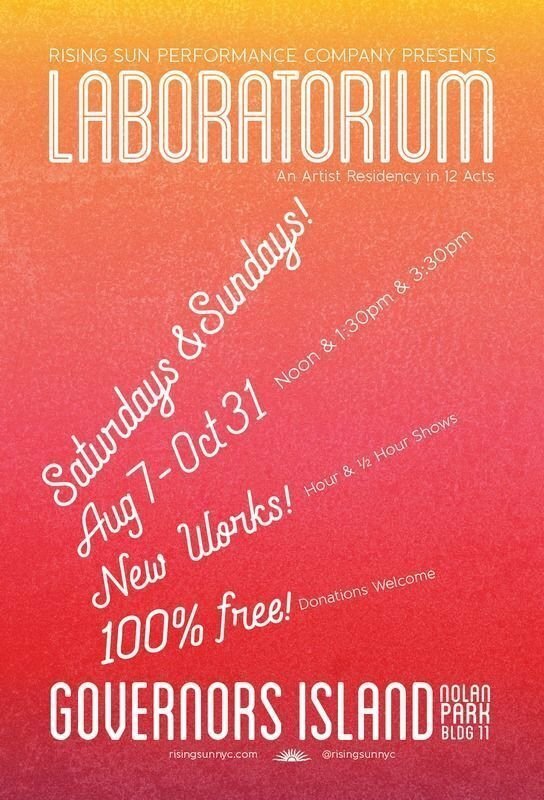 Over the course of the residency Rising Sun will host a different playwright and/or director to develop new play scripts and works in progress, as well as site specific, devised, and immersive works. Laboratorium & Presented Projects are made possible in part by the generous support of Fractured Atlas, The Trust for Governors Island, Material for the Arts, NYC Dept of Cultural Affairs, Costco, & our individual donors. I will be the gladest thing Under the sun! I will touch a hundred flowers And not pick one. I love humanity, but hate people. If I love you Wednesday, What is that to you? I do not love you Thursday— So much is true. A person who published a book willfully appears before the populace with his pants down. If it is a good book nothing can hurt him. If it is a bad book nothing can save him. Poems are perfect; picketing, sometimes, is better.